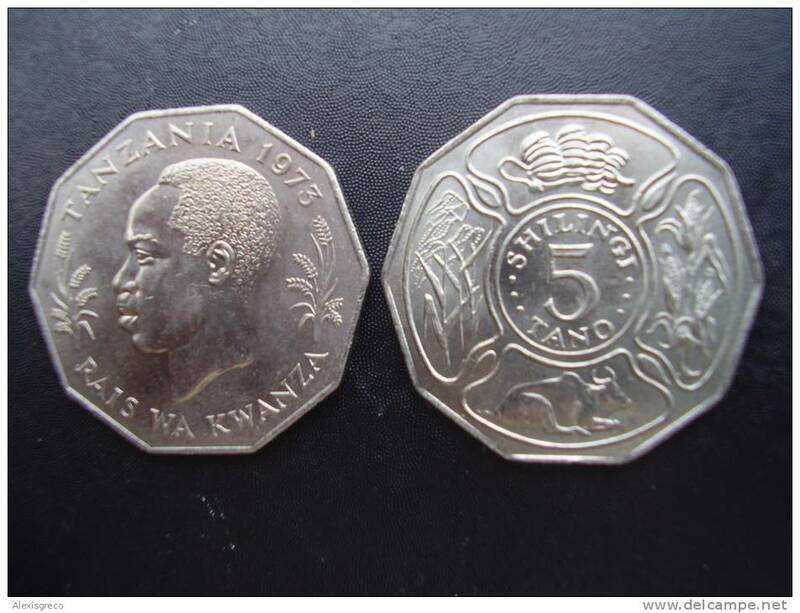 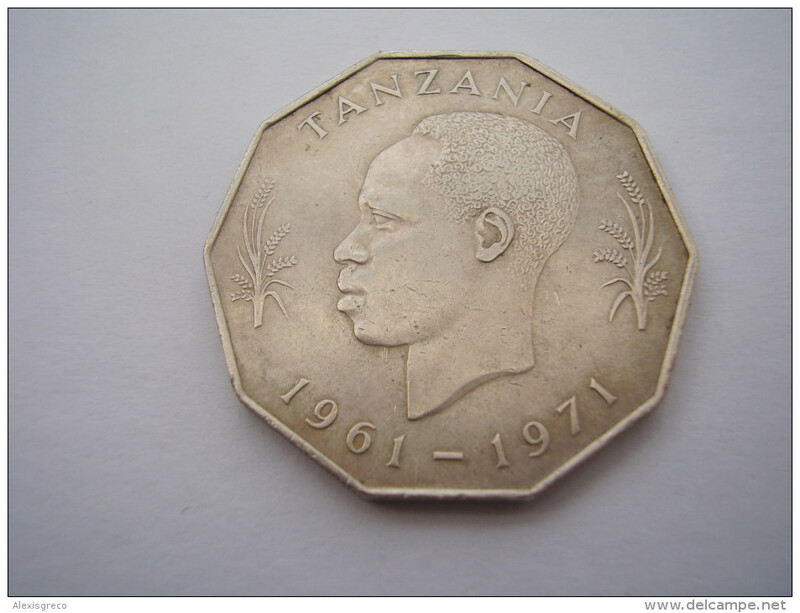 TANZANIA 1961-1971 FIVE SHILLINGS NYERERE 10 YEARS of INDEPENDENCE Copper-Nickel USED COIN . 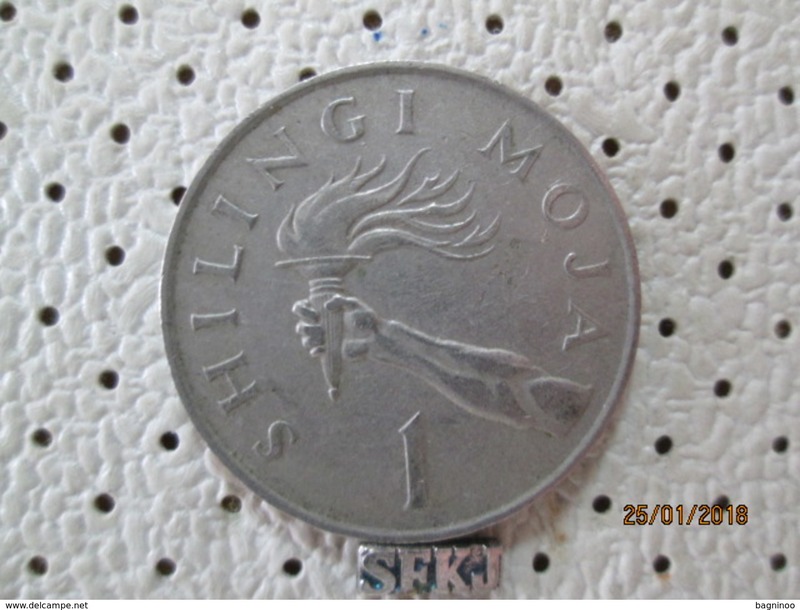 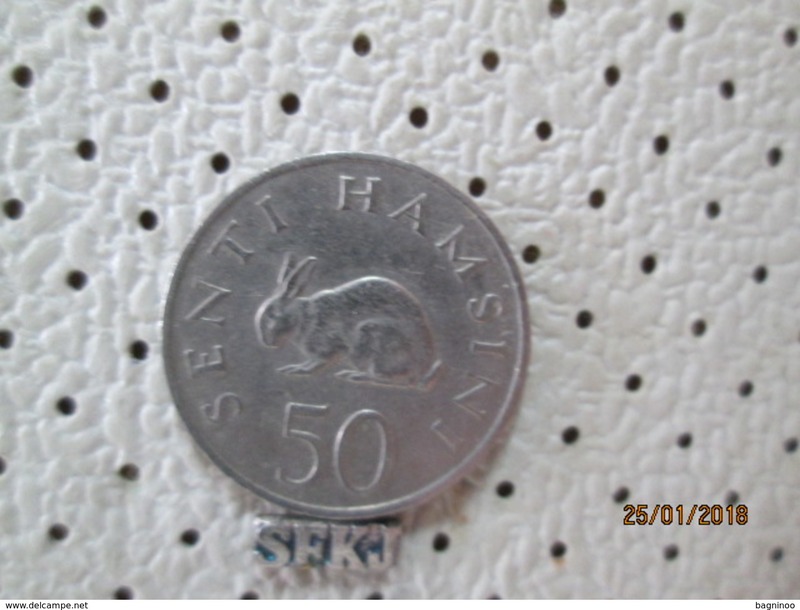 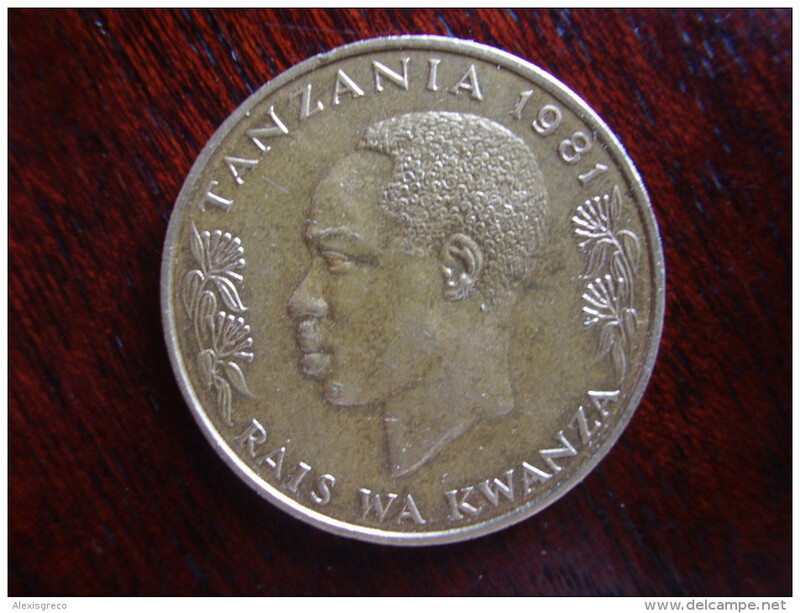 TANZANIA 1972 FIVE SHILLINGS NYERERE Issue "FIRST PRESIDENT" Swahili Inscribed Copper-Nickel USED. 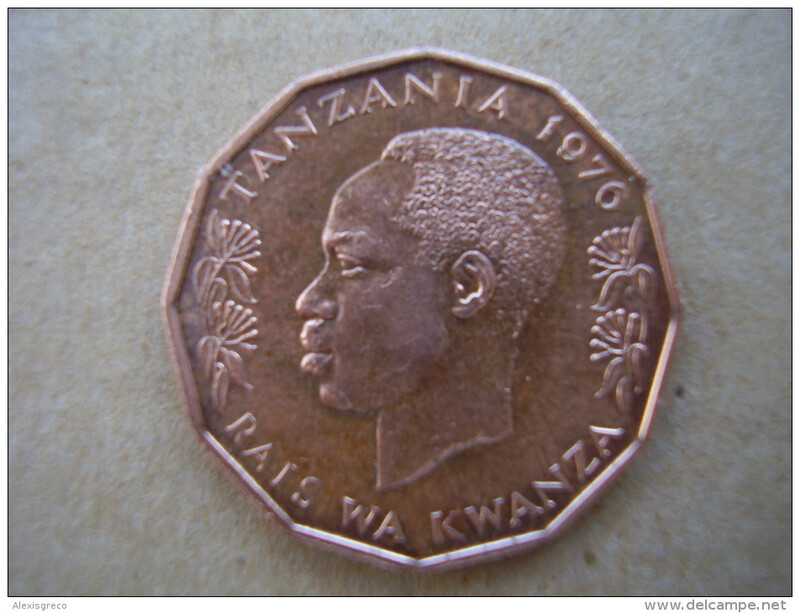 TANZANIA 1973 FIVE SHILLINGS NYERERE F.A.O.Issue "FIRST PRESIDENT" Swahili Inscribed Copper-Nickel. 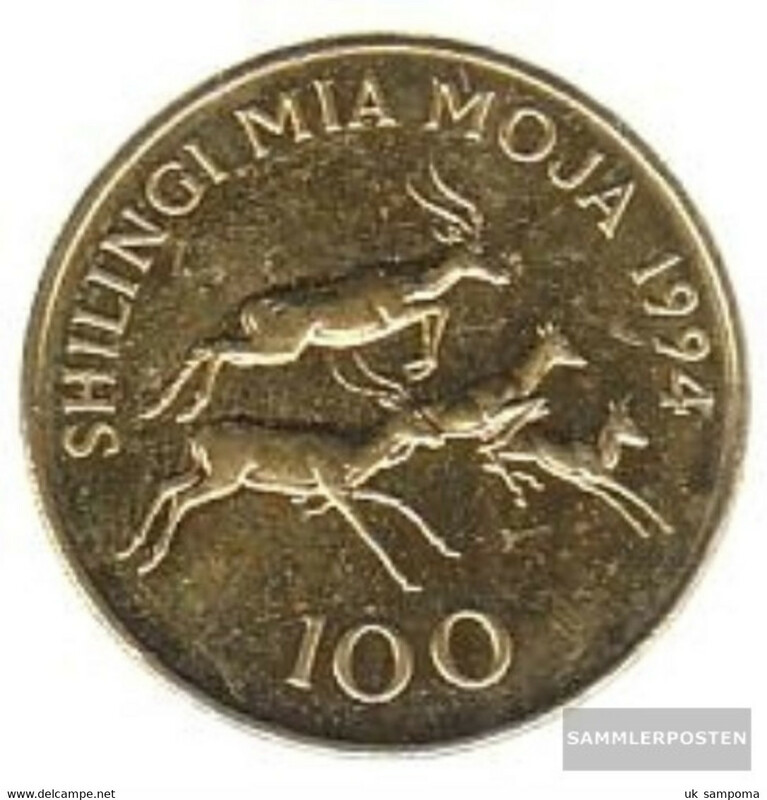 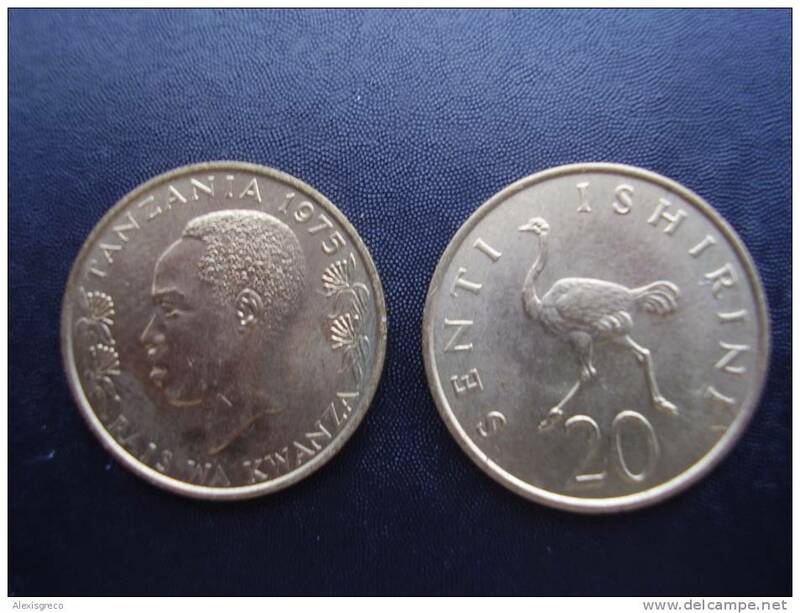 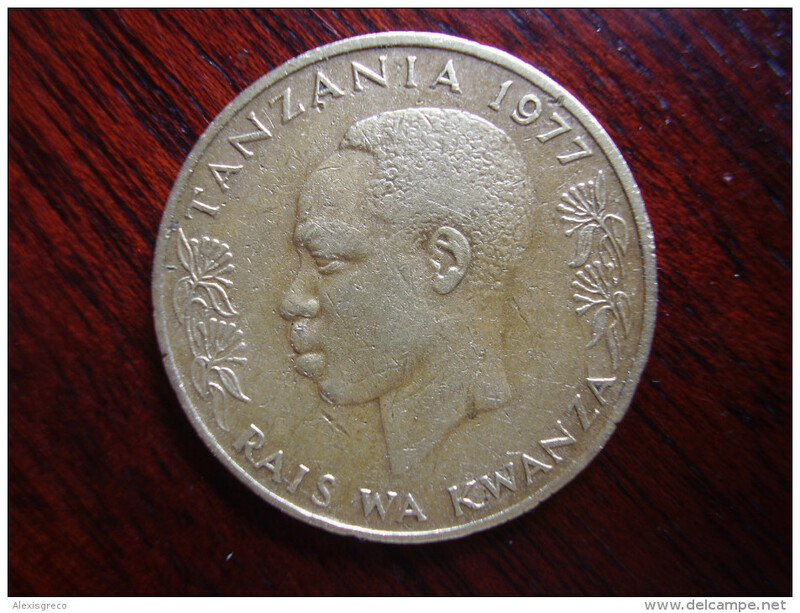 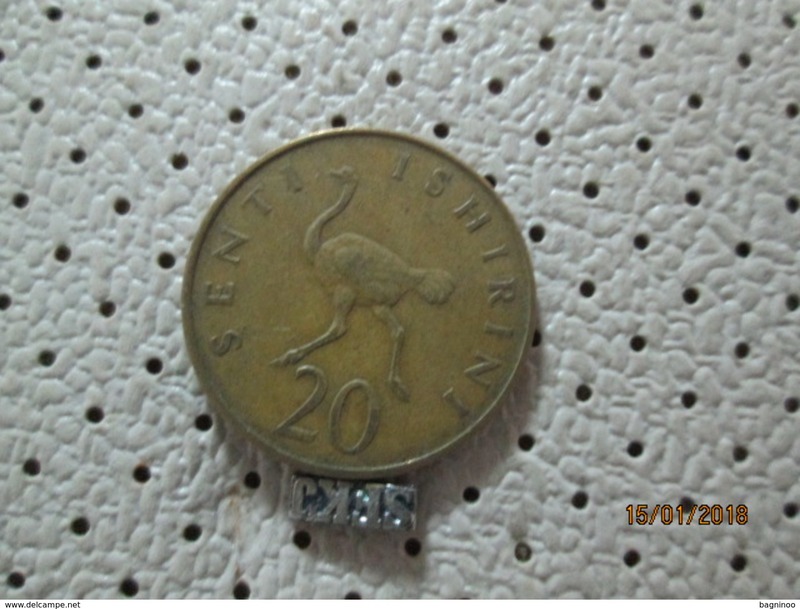 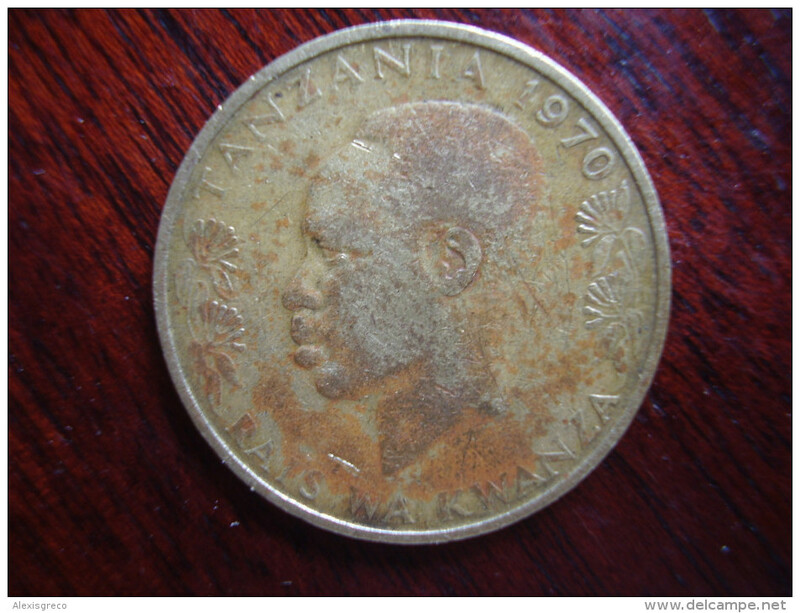 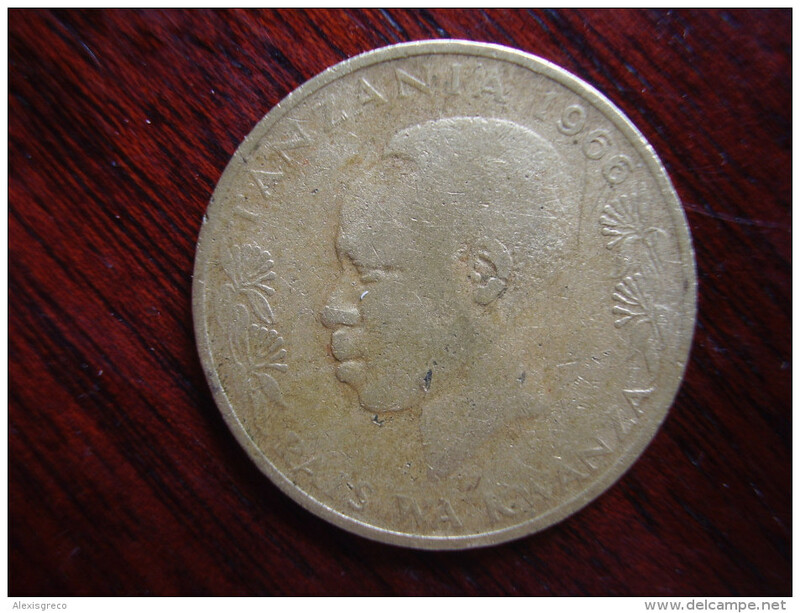 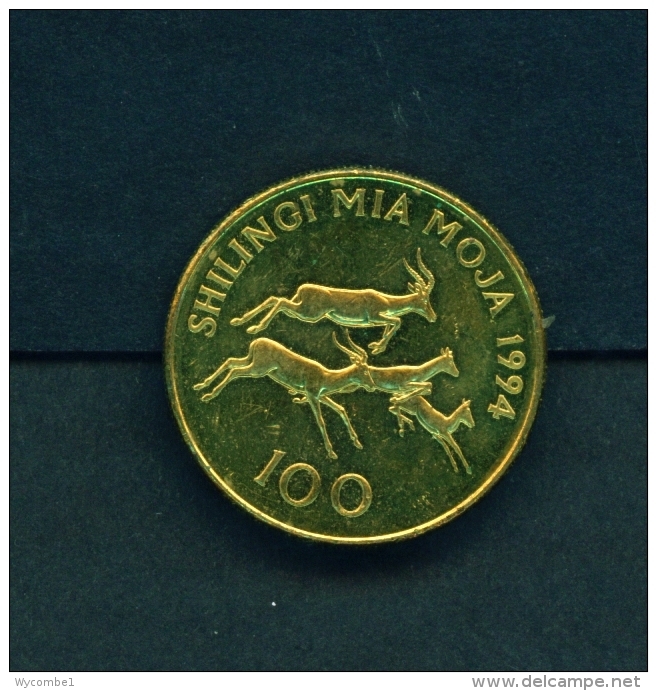 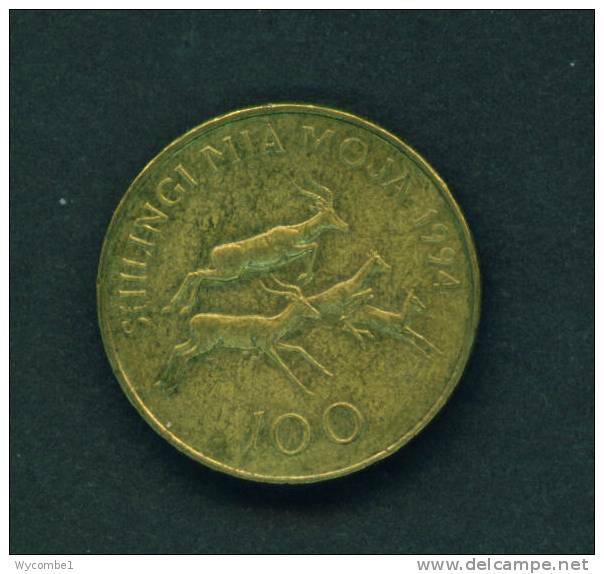 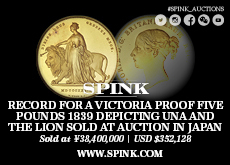 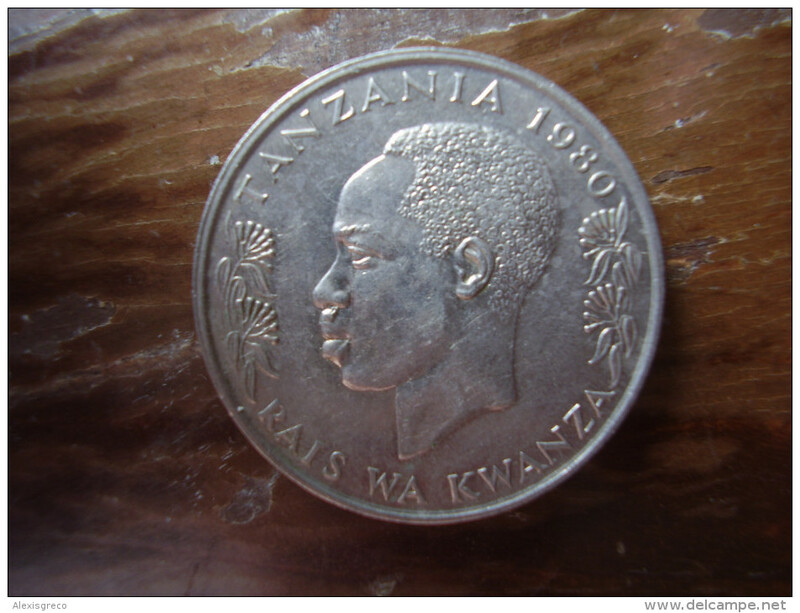 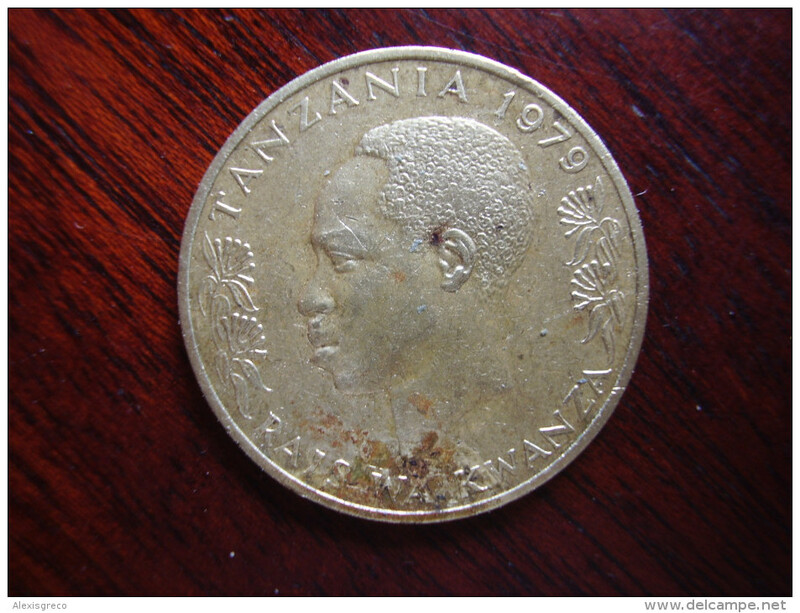 TANZANIA 1981 TWENTY CENTS NYERERE Nickel-brass UNCIRCULATED COIN..
TANZANIA 1981 TWENTY CENTS NYERERE Nickel-brass USED COIN..
TANZANIA 1979 TWENTY CENTS NYERERE Nickel-brass USED COIN..
TANZANIA 1977 TWENTY CENTS NYERERE Nickel-brass USED COIN..
TANZANIA 1973 TWENTY CENTS NYERERE Nickel-brass USED COIN..
TANZANIA 1970 TWENTY CENTS NYERERE Nickel-brass USED COIN..
TANZANIA 1966 TWENTY CENTS NYERERE Nickel-brass USED COIN..
TANZANIA 1974 ONE SHILLING NYERERE Copper-Nickel USED COIN. 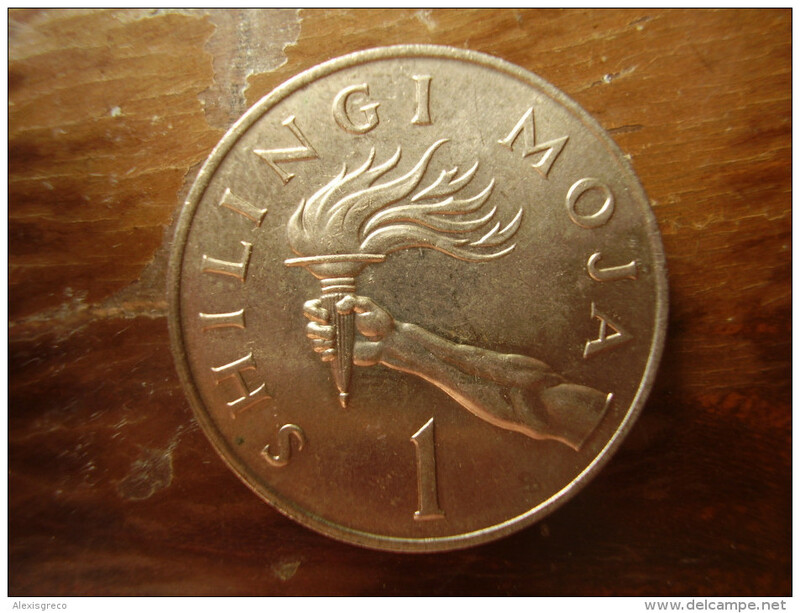 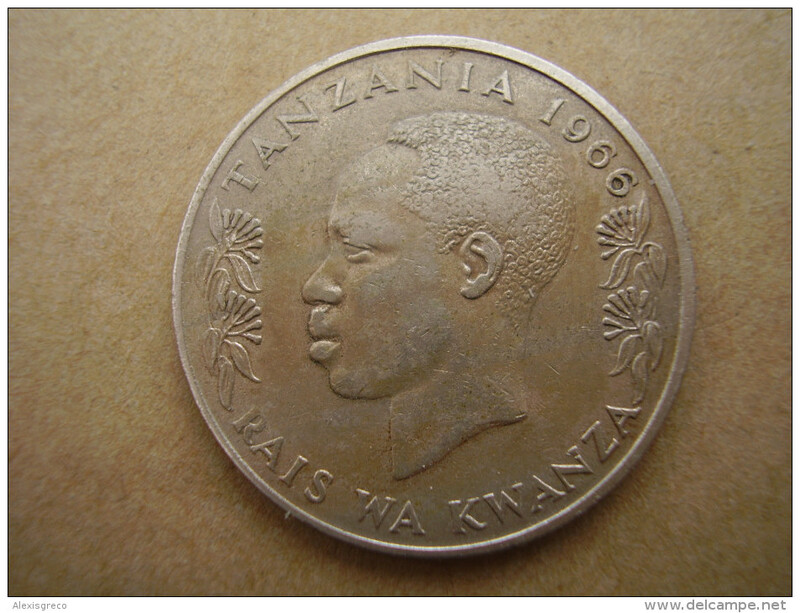 TANZANIA 1980 ONE SHILLING NYERERE Copper-Nickel UNCIRCULATED COIN. 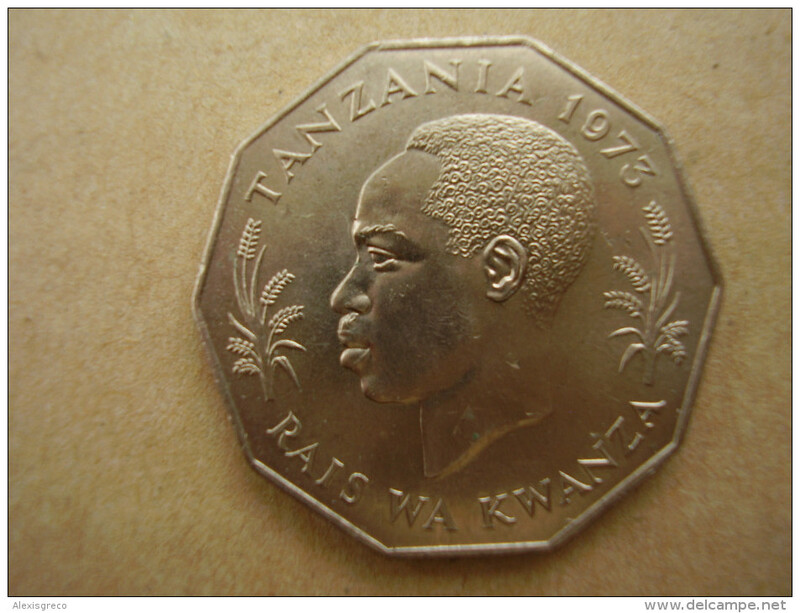 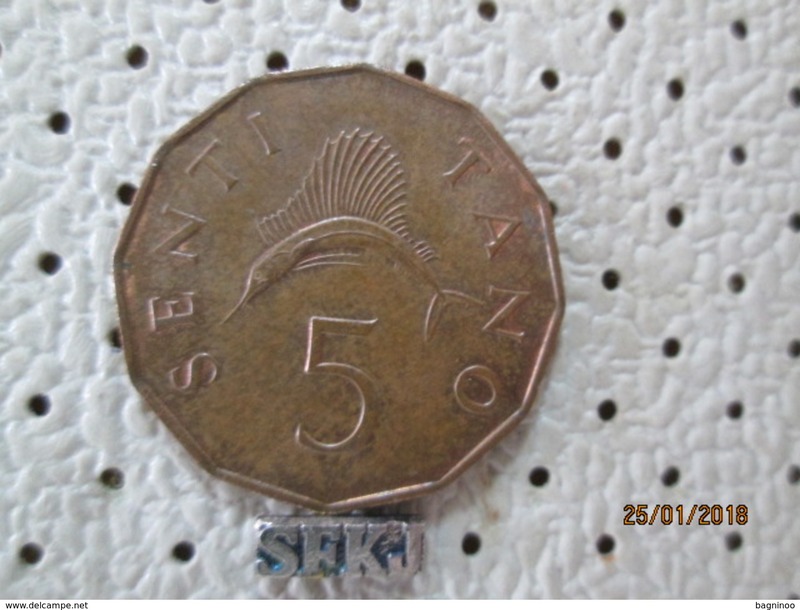 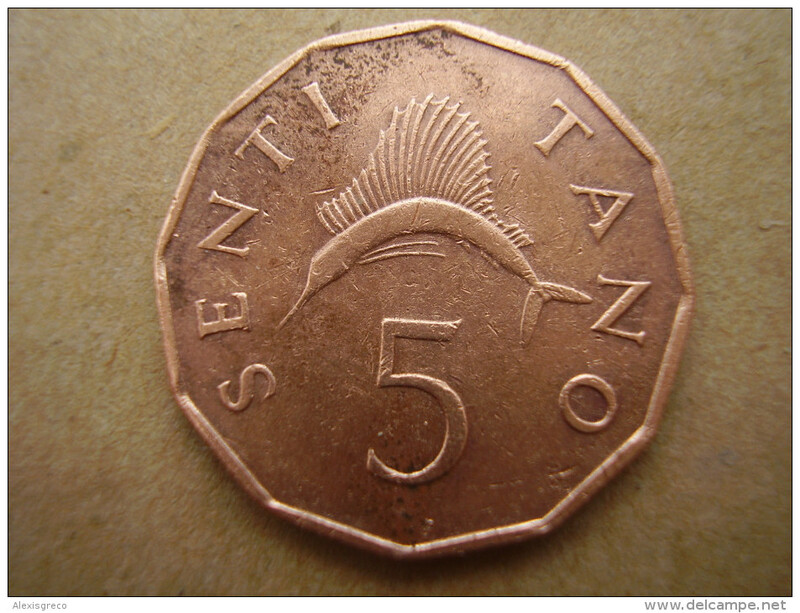 TANZANIA 1973 FIFTY CENTS NYERERE Copper-Nickel USED COIN. 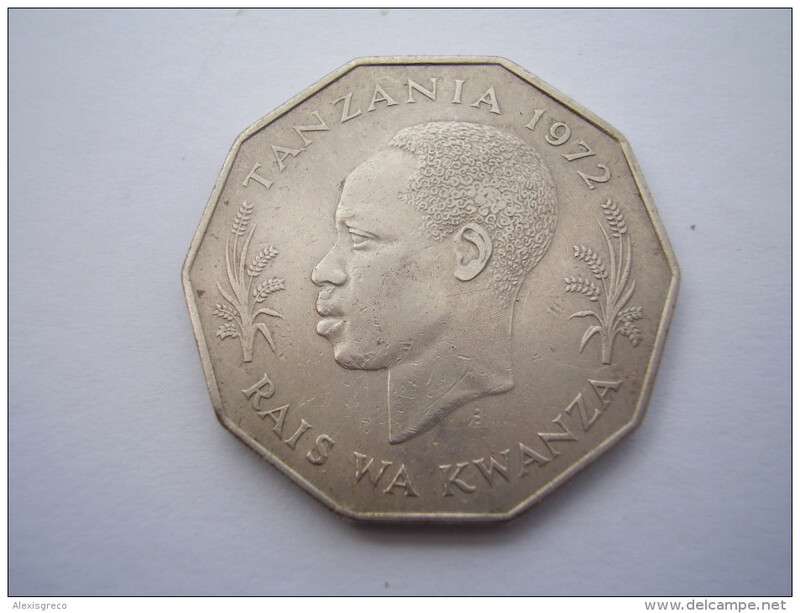 TANZANIA 1966 FIVE CENTS NYERERE Nickel-brass USED COIN. 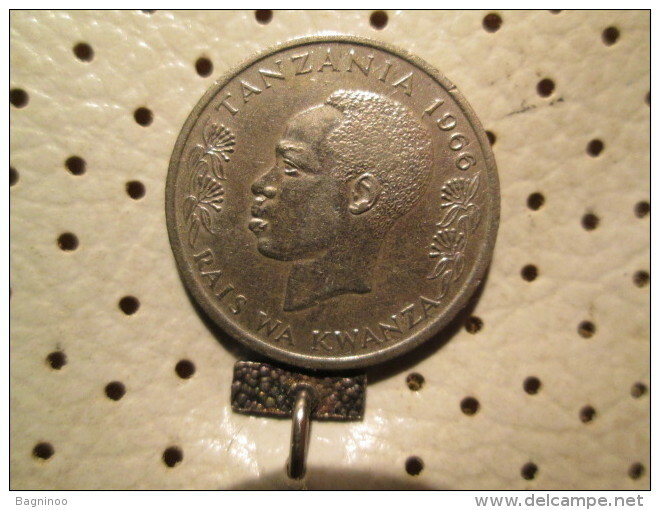 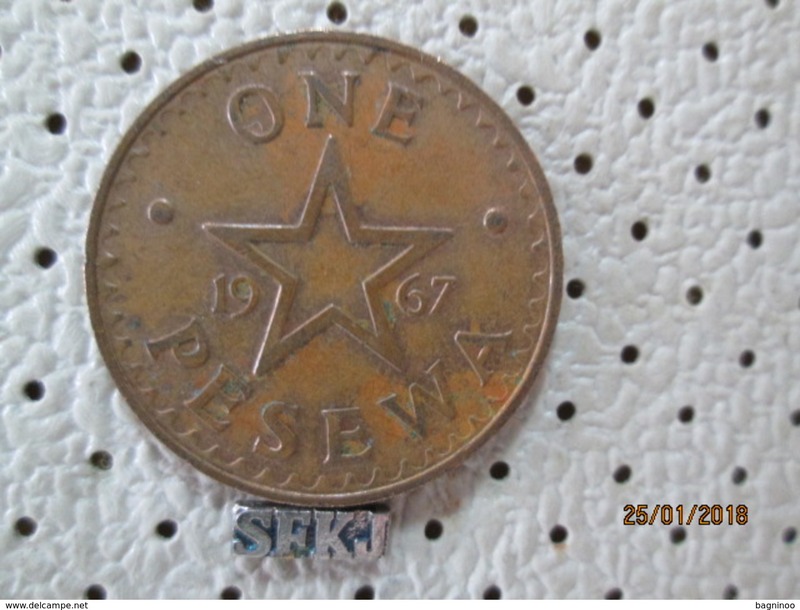 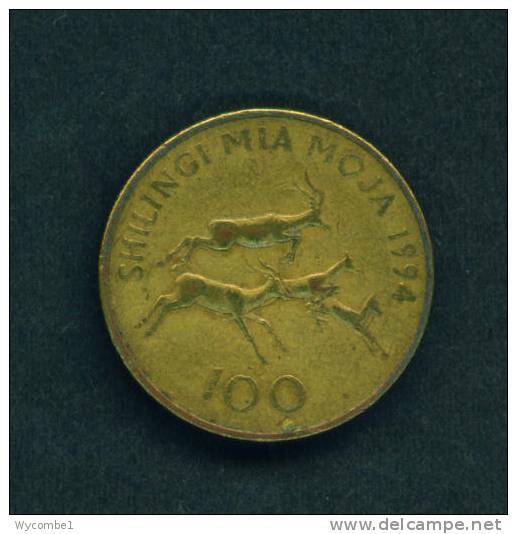 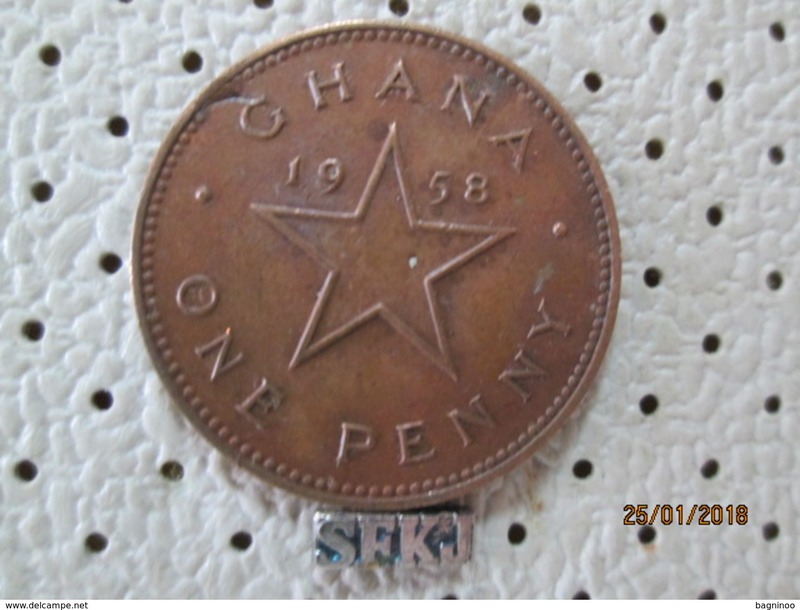 TANZANIA 1966 ONE SHILLING NYERERE Copper-Nickel USED COIN. 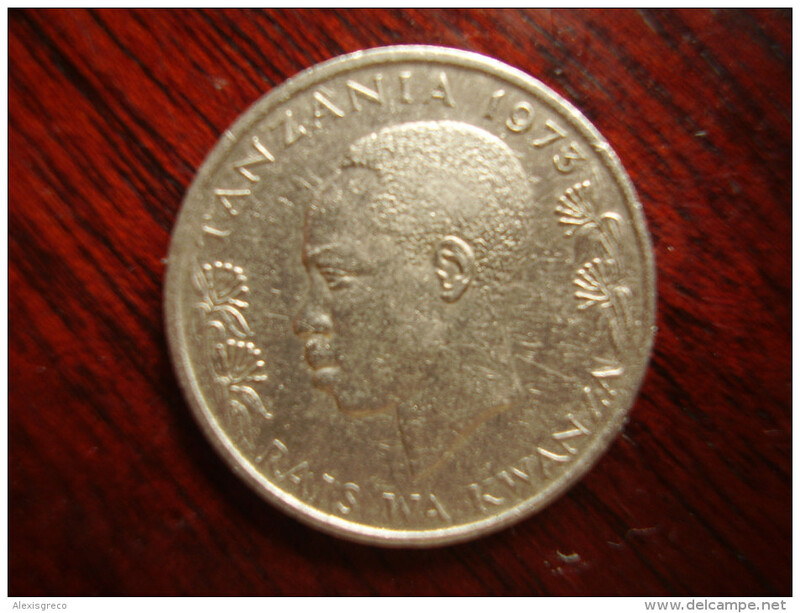 TANZANIA 1976 FIVE CENTS NYERERE Nickel-brass USED COIN. 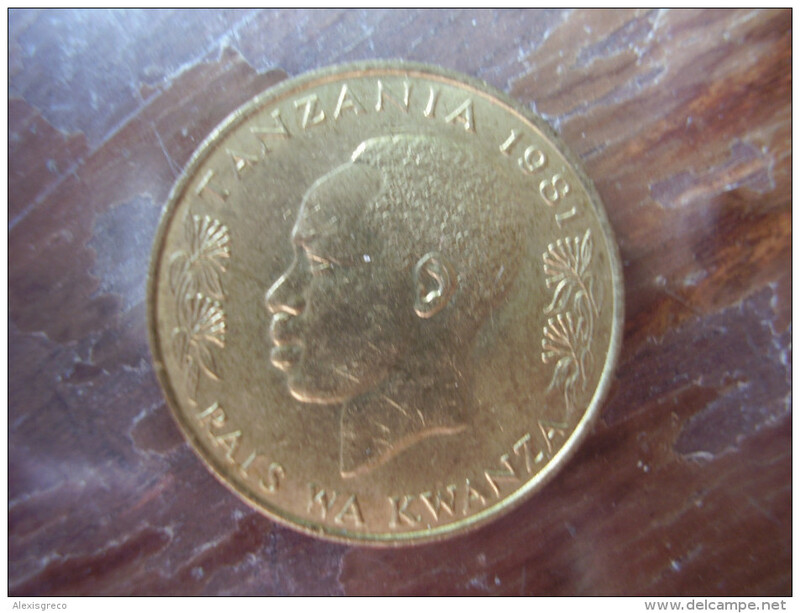 TANZANIA 1975 TWENTY CENTS NYERERE Nickel-brass UNCIRCULATED COIN.. 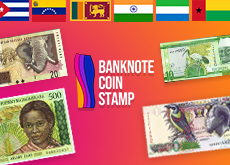 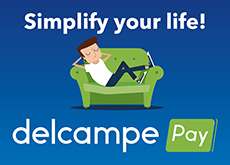 There are 454 items which correspond to your search on Delcampe International.